Take your children on wine tasting tours. Oenotourism is not only about the bubbly. I was an oenophile long before I became a mother. Travelling to vineyards, or oenotourism, has been a part of my itinerary for almost two decades. Australia, Tuscany, Provence and the Rhône Valley in France were check-boxed, but one’s list isn’t complete unless one has been to Napa Valley in California — arguably the most glamorous of them all. On a recent trip to California, we found ourselves with a group of children — mine, friends’ and family’s — but there was no reason to take a break. We were actually a group of women with their children in tow, vineyard-hopping, as it were. En route, we realised we weren’t the only ones. A picnic for mums and their tots is de rigeur on any given sunny day for Bay Area Californians. Napa Valley is flanked by the Mayacamas mountains on both sides. The range lends it a Mediterranean climate which is extremely conducive for growing quality grapes. Napa has been considered one of the top wine-growing regions of the world for almost 200 years, ever since the Charles Krug Winery opened here in 1861. By the end of the 19th century, more than 150 wineries had mushroomed in the valley. In 1968, the community of vintners enacted America’s first Agricultural Preserve and began to preserve Napa’s open spaces and control development. A famous story that is told by every Napa promoter and rehashed by every visitor is how the historic Paris Wine Tasting of 1976, or the Judgement of Paris as the wine competition is known, toppled France’s crown as the creator of the finest brews in the world. A blind tasting of Napa’s Chateau Montelena Chardonnay and a Cabernet Sauvignon from Stag’s Leap Wine Cellars won over some celebrated French names from Bordeaux. This gave a major leg-up to tourism in Napa. According to the Napa Valley visitor profile study, almost 5 million people visit here each year. While many of these are wine enthusiasts, most are here for the scenery and fair weather. There is a quaint Napa Valley wine train. But like us, most drive. We filed our kids into a nice SUV amidst the scores of stretch limousines all around us. If you are picnicking, cycling is a great activity. The valley also offers hot-air ballooning, a cruise along Napa River and swimming, as child-friendly activities. Napa also offers safari tours on a jeep in their wildlife compound, where you can see zebras and antelopes. If you choose to stay overnight, they make camping tents as well. Hiking through the Petrified Forest is also an exciting watch, as nature turns trees into stone. Sterling Vineyards and the Benzinger Family Winery have trams that take you into the vineyards. Our first stop was the first winery we saw. Mason Cellars is a humble room on 1st Street and Trisha is a lovely lady who offered us tastings. The owner Randy, she said, has been making wine for 38 years, from a pure single grape. At $10 a head for four tastings, the wines were delightful. They are perfect for a pool/patio/picnic scene, or as Trisha remarked, “an after-work mood adjuster”. Next stop: the uber glamorous Mumm Napa vineyard. Mumm’s bubbly is one of the most popular in the world, and understandably this place was crowded. If you haven’t booked early, it is worth the wait (or go elsewhere and return here). This is a beautiful club-style patio, opened only in 1990, where you can enjoy the most amazing views of golden fields and waving hills. They have two outdoor tasting spaces — the idea is to be as close to the vines, but the inside tastings are by their art gallery, which is also interesting. A sampling of four different sparkling wines cost $25, but the rates increase if you want the premium stuff. The Sparkling Pinot Meunier, the 2007 DVX and the Santana Brut are included in the 25-dollar package. In my opinion, a Napa tour is incomplete without the Beringer. 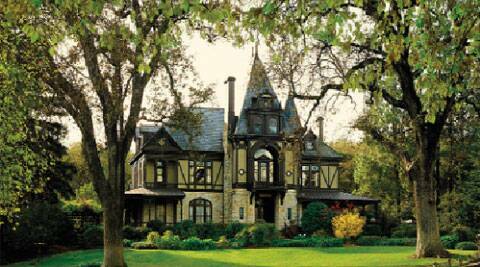 The Beringer vineyard is the oldest vineyard still distilling today, it even finds mention as a California historical landmark. This is a breathtakingly beautiful palatial style space. They offer some beautiful traditional wines made with modern technologies. Their Cabernets were simply divine. They also make expensive and delicious Beringer chocolate (since the company used to sell to Nestle in 1971, I suspect). For $25, they offer you three wine samples. There is no reason to write off a wine country tour if one is travelling with children. Sure they make no drinking companions, but just being around nature’s bounty, watching grapes grow and be crushed, and enjoying the outdoors is reason enough. Besides, in these times of fast food, fast fashion and blink-quick gadgets, how lovely is it to show them that wonderful things come from waiting for them.